Glasses, also known as eyeglasses or spectacles, are devices consisting of lenses mounted in a frame that holds them in front of a person's eyes. Glasses are typically used for vision correction. Safety glasses provide eye protection against flying debris or against visible and near-visible light or radiation. Sunglasses allow better vision in bright daylight, and may protect one's eyes against damage from high levels of ultraviolet light. 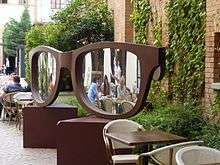 Specialized glasses may be used for viewing specific visual information (such as stereoscopy). Sometimes glasses are worn simply for aesthetic or fashion purposes. The number of Americans who are nearsighted has doubled since the 1970s and almost 3/4 of the US population wears glasses. People are more likely to need glasses the older they get with 93% of people between the age of 65-75 wearing corrective lenses. Glasses come in many types. They can be classified by their primary function, but also appear in combinations such as prescription sunglasses or safety glasses with enhanced magnification. Corrective lenses are used to correct refractive errors by bending the light entering the eye in order to alleviate the effects of conditions such as nearsightedness (myopia), farsightedness (Hypermetropia) or astigmatism. Another common condition in patients over forty years old is presbyopia, which is caused by the eye's crystalline lens losing elasticity, progressively reducing the ability of the lens to accommodate (i.e. to focus on objects close to the eye). Corrective lenses are made to conform to the prescription of an ophthalmologist or optometrist. A lensmeter can be used to verify the specifications of a pair of glasses. Pinhole glasses are a type of corrective glasses that do not use a lens. Pinhole glasses do not actually refract the light or change focal length. Instead, they create a diffraction limited system, which has an increased depth of field, similar to using a small aperture in photography. This form of correction has many limitations that prevent it from gaining popularity in everyday use. Corrective eyeglasses can significantly improve the life quality of the wearer. Not only do they enhance the wearer's visual experience, but can also reduce problems that appear such as headaches or squinting. The most common type of corrective lens is "single vision", which has a uniform refractive index. For people with presbyopia and hyperopia, bifocal and trifocal glasses provide two or three different refractive indexes, respectively, and progressive lenses have a continuous gradient. Reading glasses provide a separate set of glasses for focusing on close-by objects. Adjustable-focus eyeglasses might be used to replace bifocals or trifocals, or might be used to produce cheaper single-vision glasses (since they don't have to be custom-manufactured for every person). Safety glasses are worn to protect the eyes during a variety of tasks. They are made with shatter-resistant plastic lenses to protect the eye from flying debris and can shield the eyes from hazardous splatters such as blood or chemicals. There are also safety glasses for welding, which are styled like wraparound sunglasses, but with much darker lenses, for use in welding where a full sized welding helmet is inconvenient or uncomfortable. These are often called "flash goggles", because they provide protection from welding flash. Nylon frames are usually used for protection eyewear for sports because of their lightweight and flexible properties. Sunglasses provide improved comfort and protection against bright light and often against ultraviolet (UV) light. Photochromic lenses, which are photosensitive, darken when struck by UV light. The dark tint of the lenses in a pair of sunglasses blocks the transmission of light through the lens. Light polarization is an added feature that can be applied to sunglass lenses. Polarization filters are positioned to remove horizontally polarized rays of light, which eliminates glare from horizontal surfaces (allowing wearers to see into water when reflected light would otherwise overwhelm the scene). Polarized sunglasses may present some difficulties for pilots since reflections from water and other structures often used to gauge altitude may be removed. Liquid crystal displays often emit polarized light making them sometimes difficult to view with polarized sunglasses. Sunglasses may be worn just for aesthetic purposes, or simply to hide the eyes. Examples of sunglasses that were popular for these reasons include teashades and mirrorshades. Many blind people wear nearly opaque glasses to hide their eyes for cosmetic reasons. Sunglasses may also have corrective lenses. 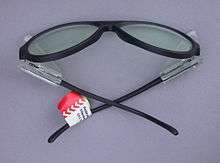 Clip-on sunglasses or sunglass clips can be attached to another pair of glasses. Some wrap-around sunglasses are large enough to be worn over top of another pair of glasses. Otherwise, many people opt to wear contact lenses to correct their vision so that standard sunglasses can be used. A type of glasses, usually with a minor yellow tint. Basically performs minor color correction, on top of reducing headaches due to lack of blinking. May also be considered minor, corrective, unprescribed glasses. Depending on the company, these computer or gaming glasses can also filter out high energy blue and ultra-violet light from LCD screens, fluorescent lighting, and other sources of light. This allows for reduced eye-strain. These glasses can be ordered as standard or prescription lenses that fit into standard optical frames. Due to the blue energy blocking nature of these lenses, they also help users sleep at night along with reducing age-related macular degeneration. Spring-loaded flex hinge temples: These flex hinges are equipped with a small spring that affords the arms a greater range of movement and does not limit them to the traditional, 90 degree angle. Repairs can be made by using Self Aligning Spring Hinge Screws. Use screw insertion pliers to push the tip beyond the first barrel of a spring hinge at a 45 degree angle and use a standard screwdriver to tighten. As the screw moves down the barrel, it will move to a 90 degree angle. When finished, use a plier to break off the excess. Corrective lenses can be produced in many different shapes from a circular lens called a lens blank. Lens blanks are cut to fit the shape of the frame that will hold them. Frame styles vary and fashion trends change over time, resulting in a multitude of lens shapes. For lower power lenses, there are few restrictions which allows for many trendy and fashionable shapes. Higher power lenses can cause distortion of peripheral vision and may become thick and heavy if a large lens shape is used. However, if the lens becomes too small, the field of view can be drastically reduced. Bifocal, trifocal, and progressive lenses generally require a taller lens shape to leave room for the different segments while preserving an adequate field of view through each segment. Frames with rounded edges are the most efficient for correcting myopic prescriptions, with perfectly round frames being the most efficient. Before the advent of eyeglasses as a fashion item, when frames were constructed with only functionality in mind, virtually all eyeglasses were either round, oval, or curved octagons. It was not until glasses began to be seen as an accessory that different shapes were introduced to be more aesthetically pleasing than functional. The use of a convex lens to form an enlarged/magnified image is discussed in Alhazen's Book of Optics (1021). Its translation into Latin from Arabic in the 12th century was instrumental to the invention of eyeglasses in 13th century Italy. Englishman Robert Grosseteste's treatise De iride ("On the Rainbow"), written between 1220 and 1235, mentions using optics to "read the smallest letters at incredible distances". A few years later in 1262, Roger Bacon is also known to have written on the magnifying properties of lenses. Sunglasses, in the form of flat panes of smoky quartz, were used in China during the 12th century. [lower-alpha 1] Similarly, the Inuit have used snow goggles for eye protection. While they did not offer any corrective benefits they did improve visual acuity via the pinhole effect. The account of Devanarayan (between I344-I353), the use of spectacles by Vyasaraya (I520 A. D.), the indigenous manufacture of spectacle lenses in South India, the different terms used for spectacles in the North and South Indian languages, and other historical facts all indicate that spectacles were invented in India, in all probability by the Kannada speaking Hindus. It is therefore most likely that the use of lenses reached Europe via the Arabs, as did Hindu mathematics and the ophthalmological works of the ancient Hindu surgeon Susruta. The first eyeglasses were made in Italy in about 1286, but it is not clear who the inventor was. In a sermon delivered on February 23, 1306, the Dominican friar Giordano da Pisa (ca. 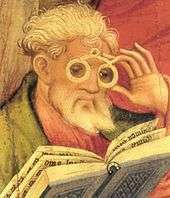 1255–1311) wrote "It is not yet twenty years since there was found the art of making eyeglasses, which make for good vision... And it is so short a time that this new art, never before extant, was discovered. ... I saw the one who first discovered and practiced it, and I talked to him." 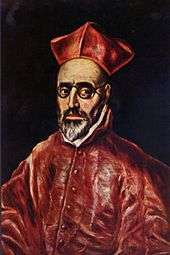 Giordano's colleague Friar Alessandro della Spina of Pisa (d. 1313) was soon making eyeglasses. The Ancient Chronicle of the Dominican Monastery of St. Catherine in Pisa records: "Eyeglasses, having first been made by someone else, who was unwilling to share them, he [Spina] made them and shared them with everyone with a cheerful and willing heart." 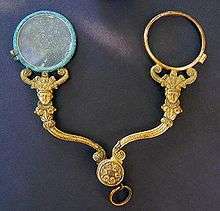 By 1301, there were guild regulations in Venice governing the sale of eyeglasses. 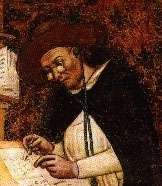 The earliest pictorial evidence for the use of eyeglasses is Tommaso da Modena's 1352 portrait of the cardinal Hugh de Provence reading in a scriptorium. 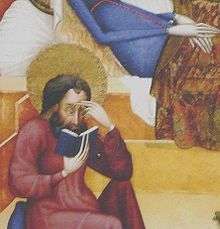 Another early example would be a depiction of eyeglasses found north of the Alps in an altarpiece of the church of Bad Wildungen, Germany, in 1403. In 1907 Professor Berthold Laufer, a German-American anthropologist, stated in his history of glasses that "the opinion that spectacles originated in India is of the greatest probability and that spectacles must have been known in India earlier than in Europe". However, Joseph Needham showed that the mention of glasses in the manuscript Laufer used to justify the prior invention of them in Asia did not exist in older versions of that manuscript, and the reference to them in later versions was added during the Ming dynasty. 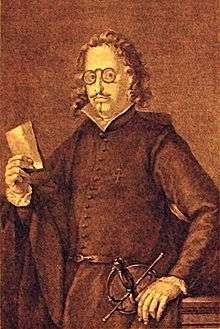 Although there have been claims that Salvino degli Armati of Florence invented eyeglasses, these claims have been exposed as hoaxes. Furthermore, although there have been claims that Marco Polo encountered eyeglasses during his travels in China in the 13th century, no such statement appears in his accounts. Indeed, the earliest mentions of eyeglasses in China occur in the 15th century and those Chinese sources state that eyeglasses were imported. The American scientist Benjamin Franklin, who suffered from both myopia and presbyopia, invented bifocals. Serious historians have from time to time produced evidence to suggest that others may have preceded him in the invention; however, a correspondence between George Whatley and John Fenno, editor of The Gazette of the United States, suggested that Franklin had indeed invented bifocals, and perhaps 50 years earlier than had been originally thought. The first lenses for correcting astigmatism were designed by the British astronomer George Airy in 1825. In the early 20th century, Moritz von Rohr and Zeiss (with the assistance of H. Boegehold and A. Sonnefeld), developed the Zeiss Punktal spherical point-focus lenses that dominated the eyeglass lens field for many years. In 2008, Joshua Silver designed eyewear with adjustable corrective glasses. They work by silicone liquid, a syringe, and a pressure mechanism. 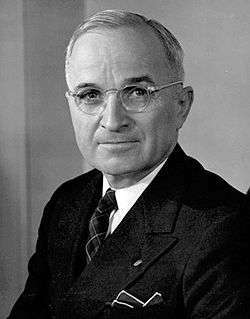 In the 1930s, "spectacles" were described as "medical appliances." Wearing spectacles was sometimes considered socially humiliating. In the 1970s, fashionable glasses started to become available through manufacturers, and the government also recognized the demand for stylized eyewear. Some organizations like Lions Clubs International, Unite For Sight and New Eyes for the Needy provide a way to donate glasses and sunglasses. Unite For Sight has redistributed more than 200,000 pairs. Other celebrities have used glasses to differentiate themselves from the characters they play, such as Anne Kirkbride, who wore oversized, 1980s-style round horn-rimmed glasses as Deirdre Barlow in the soap opera Coronation Street, and Masaharu Morimoto, who wears glasses to separate his professional persona as a chef from his stage persona as Iron Chef Japanese. 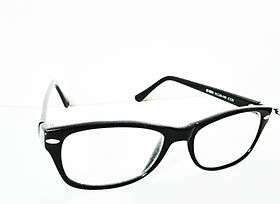 Recently, many NBA players wear lensless glasses with thick plastic frames like horn-rimmed glasses during post-game interviews, geek chic that draws comparisons to Steve Urkel. In superhero fiction, eyeglasses have become a standard component of various heroes' disguises (as masks), allowing them to adopt a nondescript demeanor when they are not in their superhero persona: Superman is well known for wearing 1950s style horn-rimmed glasses as Clark Kent, while Wonder Woman wears either round, Harold Lloyd style glasses or 1970s style bug-eye glasses as Diana Prince. An example of the halo effect is seen in the stereotype that those who wear glasses are intelligent (See also Myopia#Education and IQ) or, especially in teen culture, even geeks and nerds. Some people who find that wearing glasses may look "nerdy" turn to contact lenses or laser eye surgery, especially under peer pressure. People wearing glasses are also often perceived as shy or quiet. ↑ Ament, Phil (2006-12-04). "Sunglasses History – The Invention of Sunglasses". The Great Idea Finder. Vaunt Design Group. Retrieved 2007-06-28. ↑ "Science and Civilization in China Vol 4.1" (PDF). pp. 118–119. Retrieved May 3, 2014. 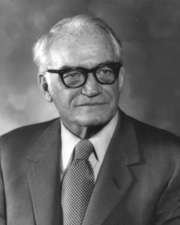 ↑ "The 'Inventor' of Bifocals?". The College of Optometrists.